3D Printing Proto21 introducing high-grade environmentally sustainable 3D Printing filaments to GCC region. 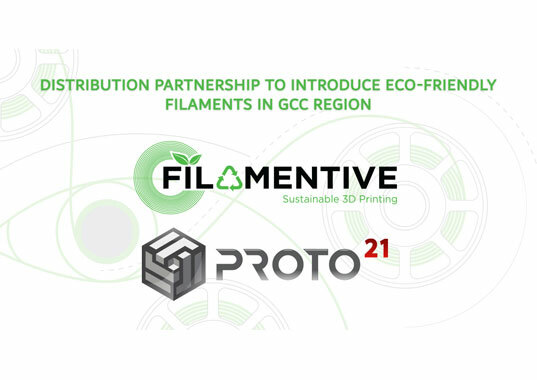 Proto21 3D Printing LLC, a Dubai based 3D printing startup, is proud to announce a distribution partnership with Filamentive Limited, a UK based company, to introduce their high-grade, eco-friendly 3D Printing filaments in the GCC region. As a 3D printing business in the region, Proto21 found it challenging to find a local supplier of high quality 3D printing filaments. Trying the top brands, which were found to be expensive, with a long delivery time, which was inconvenient for rapid prototyping business. During the hunt for reputed and high-quality filaments, Filamentive was a must try considering their environmental ideologies and responsibilities. After testing some spools of different materials and see highly satisfied results, Mr. Pir Arkam, the founder of Proto21 3D Printing LLC, immediately reached out to Mr. Ravi, the director of Filamentive, with a proposal to become a distribution partner in the GCC region in order to promote the idea of using recycled filaments for our better future. 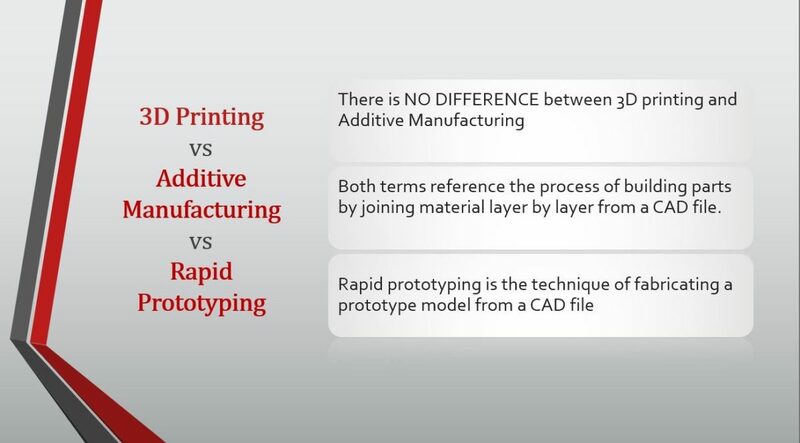 What is the need for environmentally sustainable raw material in 3D Printing? 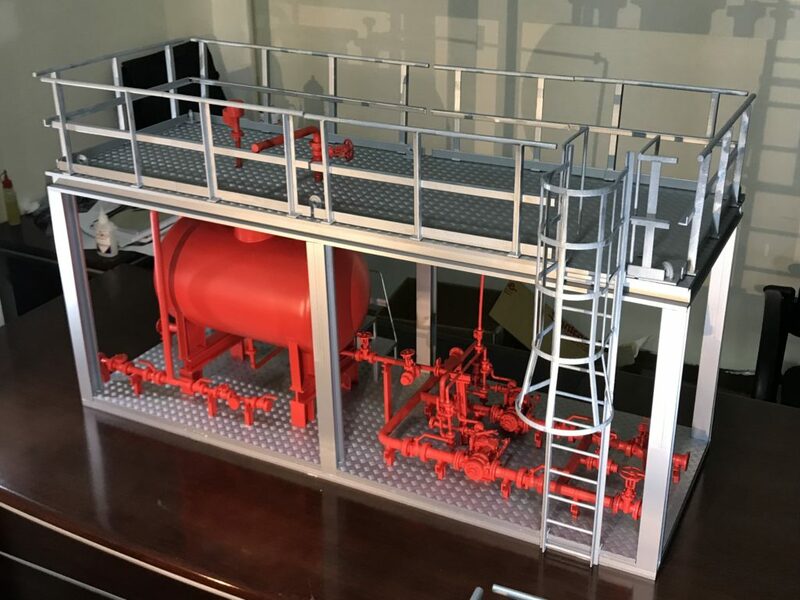 Currently, PLA is one of the most commonly used materials in 3D printing. While it is plant based, PLA is not the solution to the environmental concerns. Most importantly, PLA will challenge the food and energy security in the future. Also, PLA can take hundreds of years to breakdown naturally. Filamentive chooses to address environmental concerns with the use of recycled materials where possible without compromising on the quality of the product. All the Filamentive products are manufactured by recycled plastic materials, keeping the environment in mind. This ambitious organization has been globally recognized as “One of the Most Impactful Startups” by Web Summit in 2017. All common filament material in FDM industry will be supplied by Proto21. The list of materials which will be available in the region include rPLA, PLA Cosmic rPET-G, rABS, ASA, Carbon Fiber & Wood fill. “Considering the rapid prototyping industry, we will ensure the fastest delivery with competitive prices,” Mr. Arkam said. 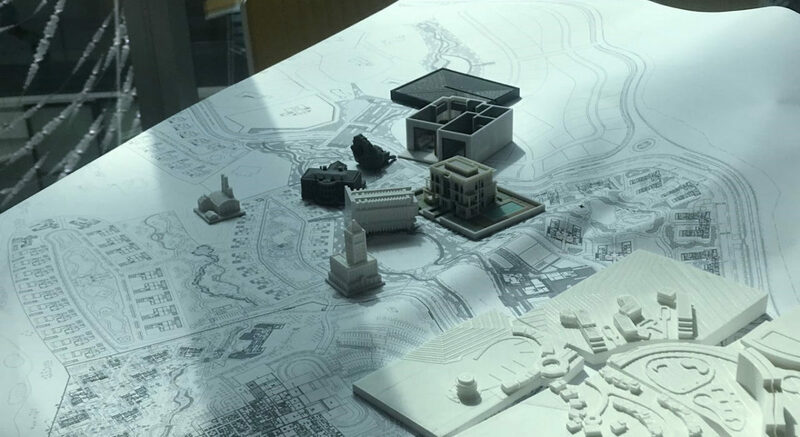 Used by more than 3000 makers, 3D Hubs, businesses and universities – this recyclable 3D printing material is now available in GCC countries (UAE, Bahrain, Saudi Arabia, Oman, Kuwait, Jordan, Qatar) with Proto21 as the exclusive distributor in the region. Additive Manufacturing and 3D Printing: What’s the Real Difference? Proto21 introducing high-grade environmentally sustainable 3D Printing filaments to GCC region. 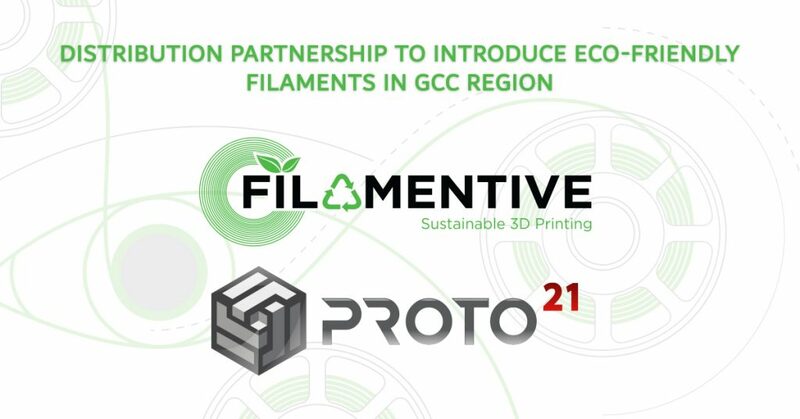 Proto21 3D Printing LLC, a Dubai based 3D printing startup, is proud to announce a distribution partnership with Filamentive Limited, a UK based company, to introduce their high-grade, environmentally friendly 3D Printing filaments in the GCC region. About the author: Pir Arkam, Founder of Proto21 is dedicated to accelerate 3D Printing adoption by providing 3D Printing services in the UAE region. He aims to educate the market with the applications & advantages of the Additive Manufacturing technology.